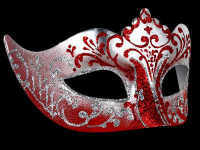 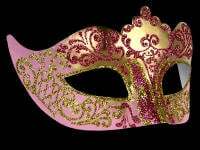 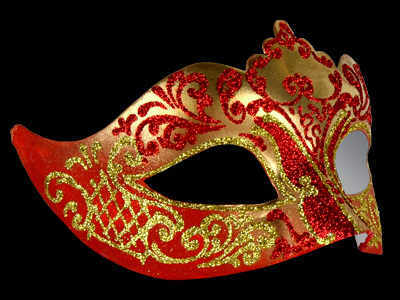 This Mask will take your breath away - Artfully coloured in gold & red with hand painted red & gold glitter swirls thus making it a striking geometric silhouette - A truly lavish ladies masquerade mask for a party or ball. 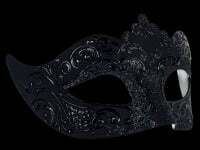 With black satin ties for a secure fitment to your face, so you can dance the night away safe in the knowledge that it wont fal or slip. 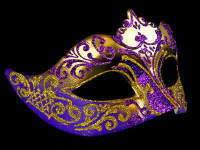 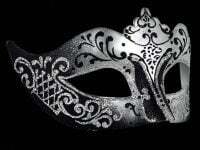 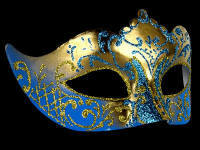 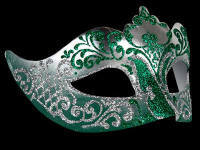 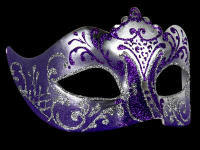 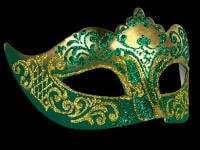 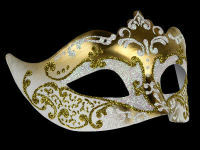 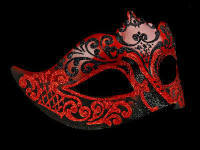 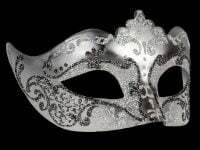 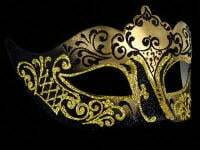 All Venetian masquerade masks are hand crafted and painted in Venice.